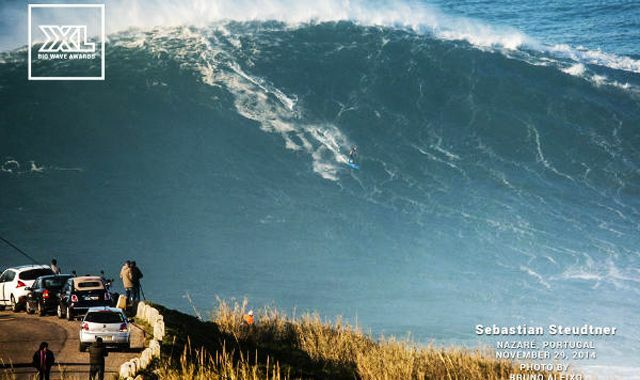 XXL: November in Nazare with Andrew Cotton and Keali’i Mamala. Surf News Network, 30 November, 2014. 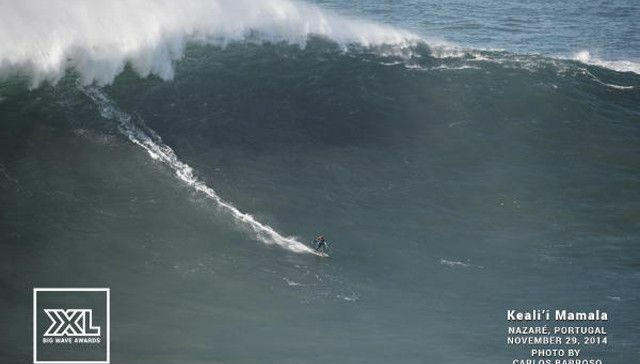 Just hours after towing into huge bombs at Nazaré, Portugal, Andrew Cotton of Great Britain broke down the massive session that went down on November 29, 2014. Cotty and crew towed into some of the biggest waves of the season at the once-obscure-but-now-famous European big wave spot. 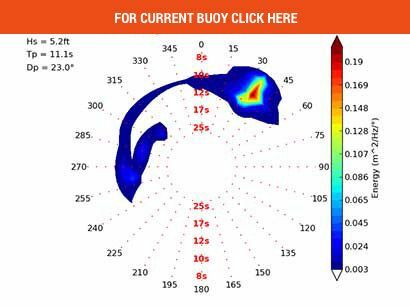 “There was quite an unusual swell,” said Cotton. 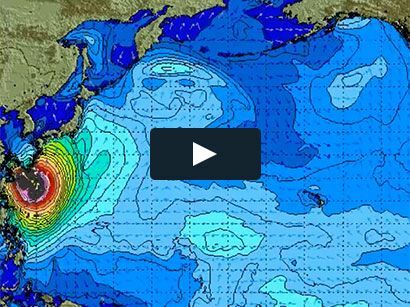 “The swell direction was really west and the storm was close to Portugal, whereas usually in the Bay of Biscay we get a northwest swell. So it was an unusual direction for the height. It didn’t feel that big out there, but it was really heavy, really powerful. SNN estimated size 85 feet in the face “IF” the trough’s bottom is the bottom of this photo, and the height of Keali’i is 5′ at this moment. According to Cotton, U.K. surfer Tom Butler scored some of the best waves of the day.